Johannesburg - Relegation-threatened Chippa United shocked title contenders Bidvest Wits on Saturday in a Nedbank Cup quarter-finals thriller, winning on penalties after a 4-4 draw. Chippa from southern coastal city Port Elizabeth converted all five spot-kicks in the shootout to win it 5-3 in Johannesburg and secure a place in the April 20/21 semi-finals. Underdogs have taken over the Nedbank Cup with Golden Arrows, a bottom-half league team, and second division TS Galaxy also through to the penultimate stage. Kaizer Chiefs host Cape Town City on Sunday in the marquee quarter-final and whoever wins will become favourites for the R7 million first prize. Pundits tipped Wits to beat Chippa with several goals to spare, but they fell behind after just three minutes when an Andile Mbenyane glancing header off a corner flew into the net. By half-time Wits had turned the tide and led 2-1 through goals from Gift Motupa and Zimbabwean Terrence Dzvukamanja. Boikango Komane equalised from a penalty, Dzvukamanja put Wits ahead again and Ruzaigh Gamildien levelled direct from a last-minute free-kick to force extra-time. Rhulani Manzini scored from close range to put Chippa 4-3 ahead only for a volley from Namibian Deon Hotto to bring the sides level again. Chippa were flawless in the shootout with Gamildien, Komane, Kurt Lentjies, Lerato Manzini and Rhulani Manzini beating national goalkeeper Darren Keet to secure victory. "What a nerve-wracking match," said Chippa coach Clinton Larsen. "We counterattacked brilliantly but our defending has to improve." 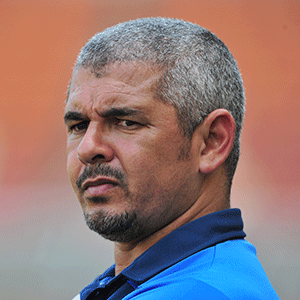 Wits coach Gavin Hunt said: "Some of our missed scoring chances were unbelievable and the defence was really poor." Earlier, a stoppage-time goal by Zimbabwean Knox Mutizwa off a free-kick gave Arrows a 2-1 win at Bloemfontein Celtic while mid-table second-tier side Galaxy qualified in midweek.